Former Manchester United manager, Jose Mourinho, has claimed that even the best clubs in the world will not be able to afford Kylian Mbappe. Mbappe joined PSG on loan before completing a permanent switch for a whopping €180 million. The French prodigy is the most expensive teenager ever and has lived up to the expectations of the Ligue 1 giants. Mbappe has racked up a staggering 26 goals for PSG in the Ligue 1, only three behind Lionel Messi who leads the race for European Golden Shoe this season. As a result, PSG have one hand on the league title as they sit top of the Ligue 1 table with a huge 20-point gap over Lille. More recently, the 20-year-old netted the fourth goal as France emerged victorious against Moldova in the Euro Qualifiers. Jose Mourinho, meanwhile, is currently on sabbatical after he was sacked by Manchester United last December. Mourinho recently claimed that Mbappe is the most valuable player in the world right now, even more than Messi and Cristiano Ronaldo. 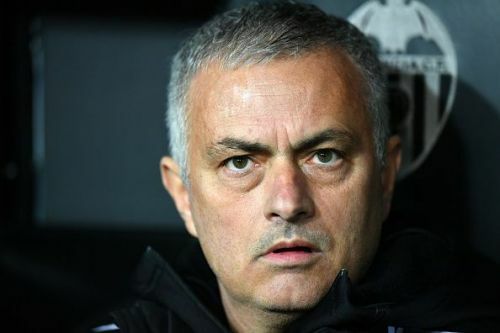 Jose Mourinho believes that the young French forward is far too expensive for any side to even consider signing him and claimed that he would not even think of buying Mbappe if he was the manager of any club. "I don't tell he is now the best player of the world. But in my opinion, he's the one with the most important market value today," Mourinho told Canal Plus as quoted by Goal. Mbappe is set to feature for France when they play against Iceland before he resumes his role with PSG in Ligue 1.